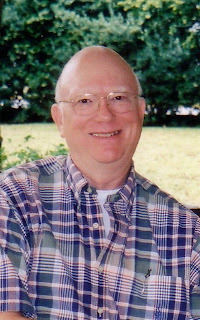 Murray Tillman is a Professor Emeritus at the University of Georgia and formerly Chair of the Department of Instructional Technology in the College of Education. He has authored several texts that assist teachers in using instructional design tools and has developed training manuals and courses for businesses and human service agents. Murray is a graduate of Birmingham-Southern College and the University of Georgia. Meet Me on the Paisley Roof is his debut novel. Visit Murray online at http://www.meetmeonthepaisleyroof.com/. I was born in Birmingham, Alabama. When I was nine years old, my family moved to Columbus, Georgia. I attended grammar school and high school there and later returned to teach in the public schools for a year. So, I think of myself as having two hometowns, two places where I grew up. I loved the big city bustle of Birmingham, the clanky trolley cars, the smell of the Merita bakery near our house, and the big storm sewer across the street where we could hunt for crawfish. Columbus, to my surprise, had clean air, soldiers in khaki uniforms wandering around downtown, and a den of iniquity, Phenix City, Alabama, just across the Chattahoochee River. Today, I enjoy going back to both cities and step back, it almost seems to me, into another time in my life. My college days were the emotional winter of my life. I found comfort as well as beauty in literature and music. I read novels, poetry, minored in English, took a creative writing course, and wrote several short stories. I was surprised one day when my professor read aloud to the class part of a story I had written and then said, "I wish I had written that." Although I wasn't sure why he said it, I was pleased to hear his comment. I hoped someday I could do more. My graduate degrees, however, were in psychology taking me off the creative writing track. Although I started a novel once, my muse was fickle, requiring large chunks of time before she would appear. No weekend gigs for her. I had to wait for retirement before I could really start writing a novel in earnest. I prefer to write during the morning but am on call from my muse at any time. Once I sit down and start writing, I don't know when I'll get up. If I have written two or three decent pages by noon, that's great. If not, I'll take a break then start work again until, by the end of the day, I have those two to three pages. That's my goal, anyway. Meet Me on the Paisley Roof is a humorous novel, one that lets you really get to know the characters. The tale is narrated by the 16-year-old Trussell Jones so this is his story. If I could use an analogy from cooking, there are four ingredients in the story: SPICY, HOT, SWEET, and MYSTERY. 1. SPICY: You have three teenage boys full of energy and mischief who like to tease and test one another. They have a long history of planning adventures and then launching themselves at neighborhood targets, especially at night. 2. HOT: I mean hot in the sense of conflict and danger. The boys have difficult family relationships. For example, Trussell's stepmother, with no parenting skills and nutty to boot, has purchased a .38 revolver to meet the mounting threats in her life including, she thinks, Trussell. 3. SWEET: Trussell hopes for love with Ellen. But first, he has to speak to her, which he finally manages after a scare from the seductive Trudy. 4. MYSTERY: The boys confront problems they haven't encountered before. What do you do when a motorcycle, with the key intact, appears behind your garage? Mix these ingredients in differing amounts to form the different chapters. Add a little thyme for reading (I apologize) and you have a laugh-out-loud tale of teens seeking adventure and love in the hot summer of 1956. From my growing-up years in Columbus, three events stand out very vividly. (1) When I was in the seventh grade and later as a teenager, I was madly in love with a beautiful girl in my school who, I thought, viewed me as a pest. (2) I had wonderful friends with whom I shared many nocturnal adventures, problems in our family lives, and dreams about the future. (3) I studied piano very seriously for a while and adored listening to the Classical and Romantic repertoire, if not on a record player, then in my head. The story that I wanted to write comes from this well of feelings about my teenage years: a seemingly impossible love, friends who love, support, and test one another, and music that would send your soul soaring. Add to that the teen frustration of having to deal with challenging events without having any experiences to fall back on, emotions so intense, so alive, that I can feel them today, a half-century later. 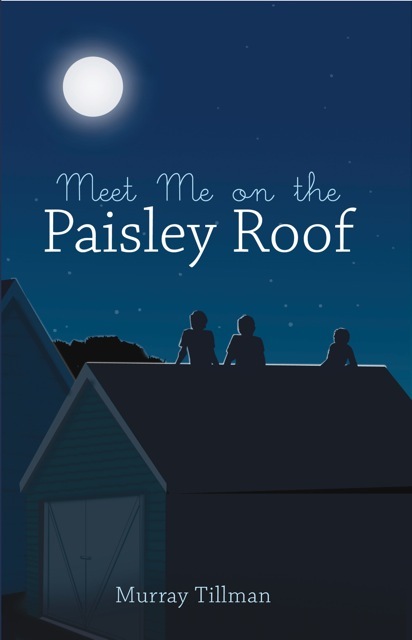 I wrote Meet Me On The Paisley Roof to share those feelings, expressed humorously, in a fast moving story. Let me tell you about Mr. Childs, a construction foreman and father of Cassidy and Ronnie, teenage friends of the story's narrator. Mr. Childs has the potential to be a hero or a villain. Here is one quick example. Mr. Childs wants to show Trussell how it feels to fire a shotgun. So they go to the back of the house where Mr. Childs produces a loaded shotgun, demonstrates how to hold the weapon properly, and then fires a blast out the back door into a large mound of dirt. And why was the large dirt pile there? Mr. Childs had, on his own initiative, recently bulldozed his wife's vegetable garden in order to build a fallout shelter. On one hand, Mr. Childs wants Trussell to learn about shotguns and acts immediately to "help" him learn. On the other hand, Mr. Childs is firing a deadly weapon within the city limits, easily alarming neighbors who hear the cannon-like noise that shotguns make. On one hand, Mr. Childs wants to protect his family from the devastation of nuclear war, a commonplace fear in the 1950s, but on the other he didn't discuss the matter first with his wife, who lost her garden. And so it goes with Mr. Childs, trying to be helpful, yet often skirting the limits of reason, if not the law, to do so. Assuming that we are talking about enthusiasm here and not girth, I would name Phyllis Pruitt. Phyllis and I are sort of related: my son married Phyllis's daughter. So we are "mutual in-laws" maybe? After revising the manuscript "one last time," I set it on a shelf, too tired to start on the rounds of gathering feedback. And so it sat for several years. But I kept hearing that Phyllis wanted to read it so eventually I sent her a copy. The feedback from Phyllis made me sit up and listen, especially one sentence: "I kept falling out of my chair laughing!" Wow! Maybe that last revision did the trick, I thought. And so I took the manuscript off the shelf and continued my journey with a fresh resolve. Phyllis is one of the six wonderful people I thanked in my acknowledgements: "Phyllis Pruitt ... who laughed the loudest of anyone, for her thoughts and enthusiasm." 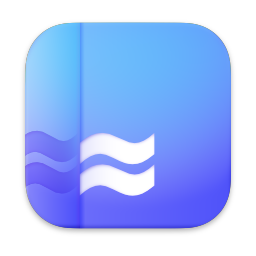 And today, she visits and comments on the book's Facebook page. Thanks again, Phyllis! Meet Me on the Paisley Roof is available at: Amazon, Barnes &Noble, MyBookOrders.com, or at your local bookstore. 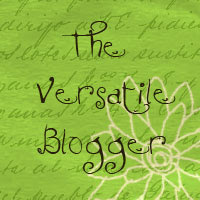 For direct links go to the Mini-Blog tour site set up by Tribute Books: http://www.meetmeonthepaisleyroof.blogspot.com/. 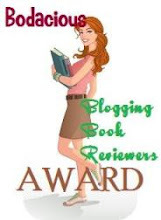 The Mini-Blog tour site set up by Tribute Books has a listing of all the major links you might need: http://meetmeonthepaisleyroof.blogspot.com/, including my e-mail address, web site, Facebook page, and book purchase information. If you have a question about the book or about writing in general, there are several ways to contact me: my e-mail address, web site e-mail, or Facebook page. Question or not, I hope you will visit the Facebook site and say hello, leave a comment, and by all means "like" it. I will continue to promote the book for awhile, visiting indie bookstores in the Southeast, keeping active on Facebook, and volunteering to speak at libraries and high schools. 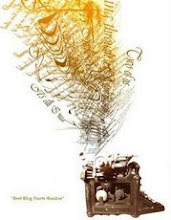 Since publishing an article in "Georgia Backroads" magazine about music in my childhood ("Ruby's Boys and Mamie Lee at the Piano", Summer, 2010, p. 46), I've been considering similar writing projects. Writing the article was a fun romp down memory lane, and you can find it online at: http://www.georgiahistory.ws/issues/articles/Ruby%27s%20Boys%20&%20Mamie%20Lee%20at%20the%20Piano.pdf. Cheryl, thanks for hosting Murray today. I always appreciate how your questions elicit such great responses.